Southern Cornbread Dressing is so easy to make—with cornbread, celery, onion, sage, and lots of good chicken stock—this classic Cornbread Dressing is great for Thanksgiving dinner or as a side dish anytime! No, the star for me is this traditional Southern Cornbread Dressing, covered in giblet cream gravy and a little cranberry sauce…that’s what we wait all year for. I’m not even sure why we don’t fix cornbread dressing more often, because it really is quite simple; however, it’s a dish that is mostly relegated to the holiday table. Let’s change that, shall we? 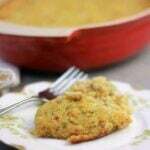 Cornbread Dressing for Tuesday night supper! There are many different variations of cornbread dressing—some use milk, some use eggs, some use cream soups—our family doesn’t usually add any of those. 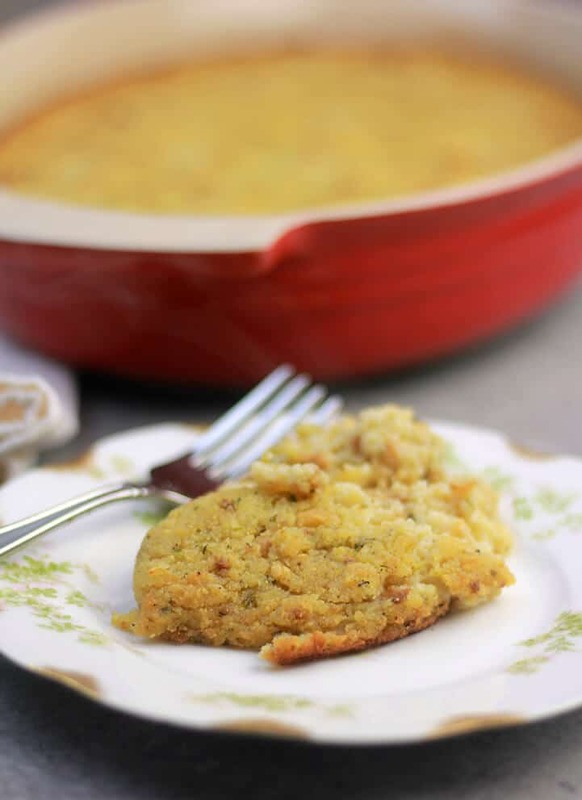 Our Southern cornbread dressing recipe is just a mixture of buttermilk cornbread, maybe some leftover biscuits or torn white bread, chicken stock, onions, celery, and butter. Add some seasonings and that’s it. Simple, moist, and the perfect accompaniment to roast turkey or chicken. No special tools needed for this recipe! Just a large mixing bowl—I LOVE this 3-piece set from Amazon Basics, all stainless with lids and for a great price! If you don’t have some good mixing bowls you need to order these right now! 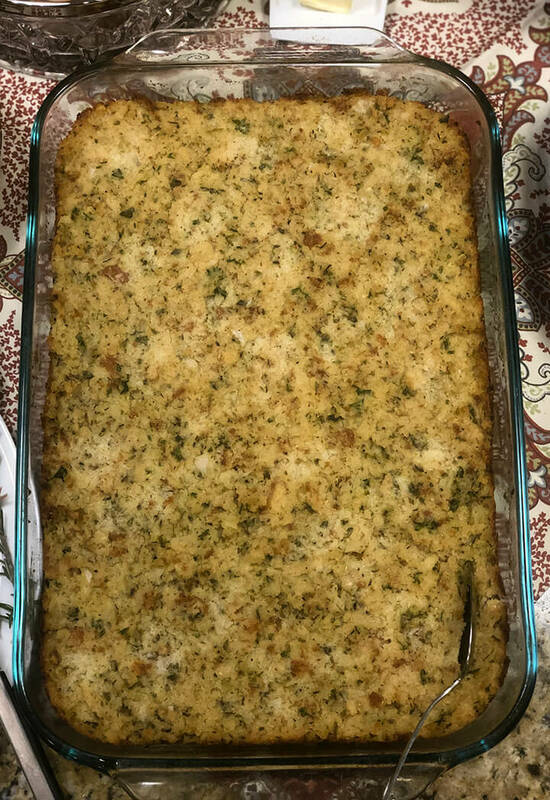 The only other thing you need to make my Southern Cornbread Dressing is a 9×13-inch baking and serving dish. I like to have a pretty one on hand because I always serve the dressing right out of the dish it was baked in, and it’s nice to have a dish that travels well too. You can’t go wrong with the standard Pyrex baking dishes, but if you want something a little prettier, I really like this one from Emile Henry. It comes in several different colors and will last you forever. Fresh sage and parsley – don’t skip these! Step 1. Make the cornbread. Start by making a pan of buttermilk cornbread. 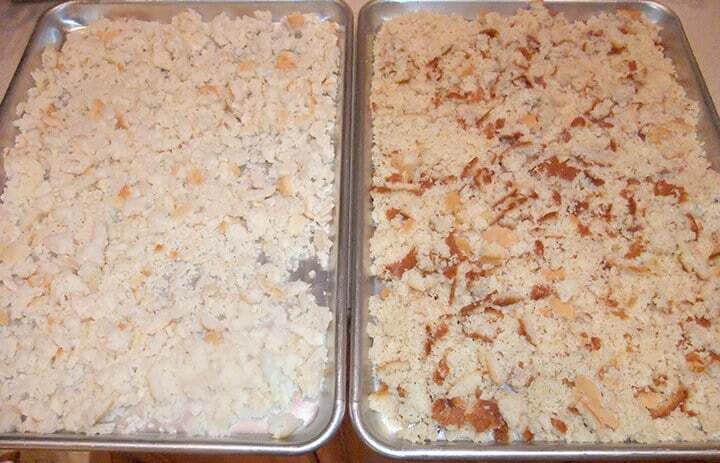 When the cornbread is done, crumble it onto a baking sheet and let it dry overnight or for several hours. **Pro Tip: I always add about 3 leftover biscuits too, so crumble those onto another cookie sheet and let them dry as well. If you don’t have biscuits (and definitely don’t use canned, although the frozen ones might be okay) then you can tear up some regular white bread. Step 2. Cook the vegetables. Once your bread has had some time to dry, start the dressing. 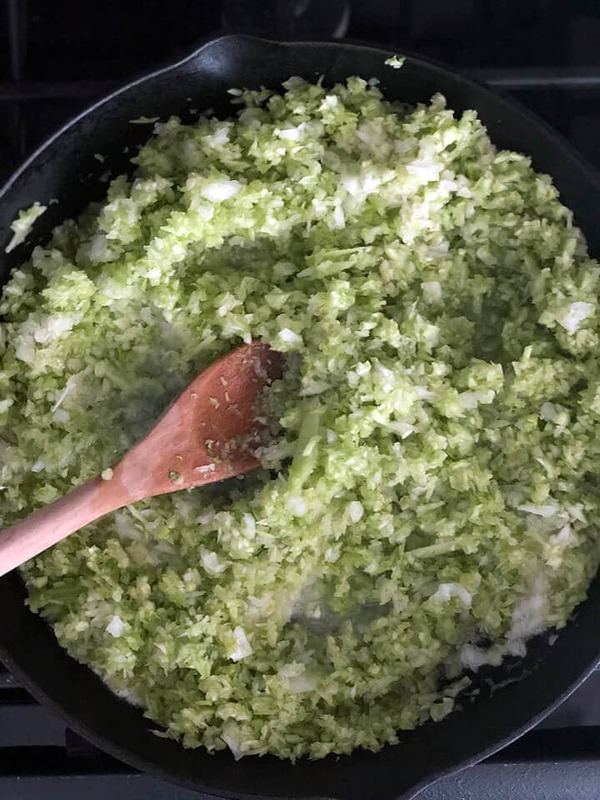 Melt a stick of butter and a couple of tablespoons of bacon grease in a large skillet and sauté the chopped celery and chopped onion until tender. Step 3. Mix the cornbread dressing in a large bowl. When the vegetables are tender, add them to the crumbled cornbread and biscuits in a large mixing bowl and stir until combined. Add chopped fresh parsley and sage along with a pinch or two of rubbed sage and a teaspoon of dried thyme. Stir in 2 cups of turkey or chicken stock and then taste. Add salt and pepper to taste. Add additional stock in small increments. If you like dressing a little creamier, you can also add a can of cream of chicken soup. **Pro Tip: When you’re adding the stock, pour in small amounts at a time and then stir. You want the dressing to be almost soupy, so that it will cook up nice and moist, but don’t overdo it. And I can’t stress enough the importance of tasting at this stage so you know you’ve seasoned the dressing well. Step 4. Prepare the dressing to bake. Generously butter a 9×13-inch dish and then spread the dressing into the dish. If you have too much dressing, you may need to also use a smaller dish, say an 8×8. Dot some butter on top of the cornbread dressing and cover with foil. Step 5. 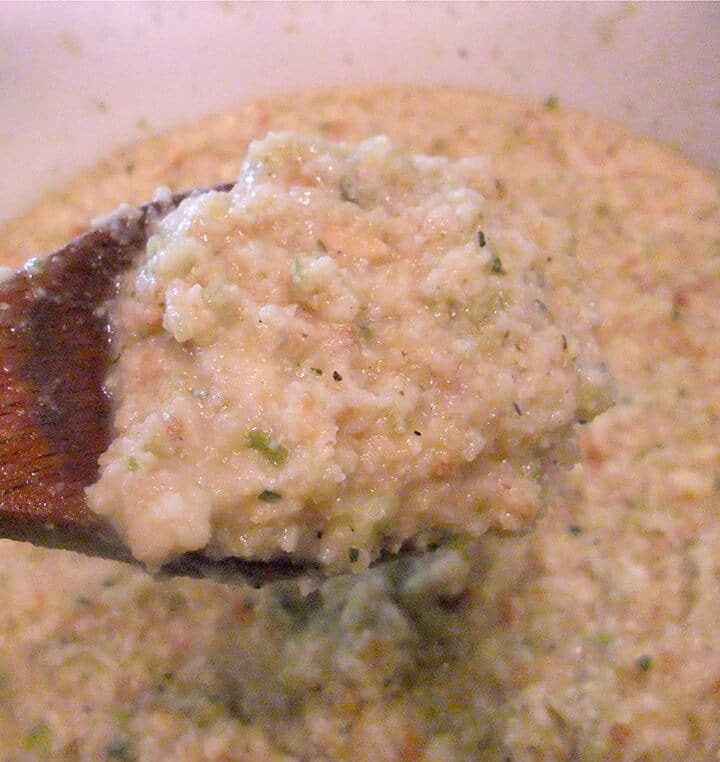 Bake the cornbread dressing. Bake the Southern Cornbread Dressing at 350° for 30 minutes, then raise the temperature to 375° and remove the foil. Bake for another 20-30 minutes, until your cornbread dressing is nicely browned on top. Watch carefully for the browning so you don’t over-bake and end up with dry dressing. 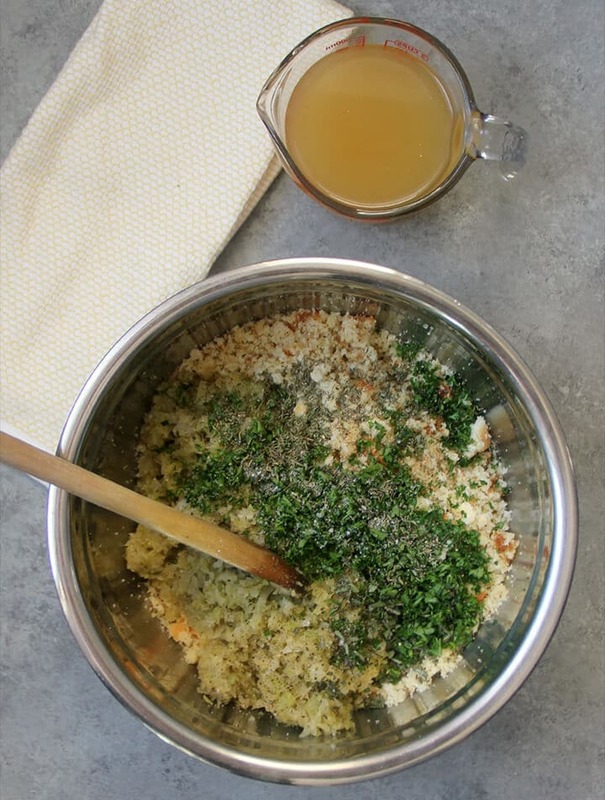 To make in advance, you can either make the dressing all the way up to baking and store in the refrigerator for a couple of days, or you can go ahead and bake the dressing and then just reheat. I typically mix up my cornbread dressing the day before I need to serve it and then bake it just before serving. 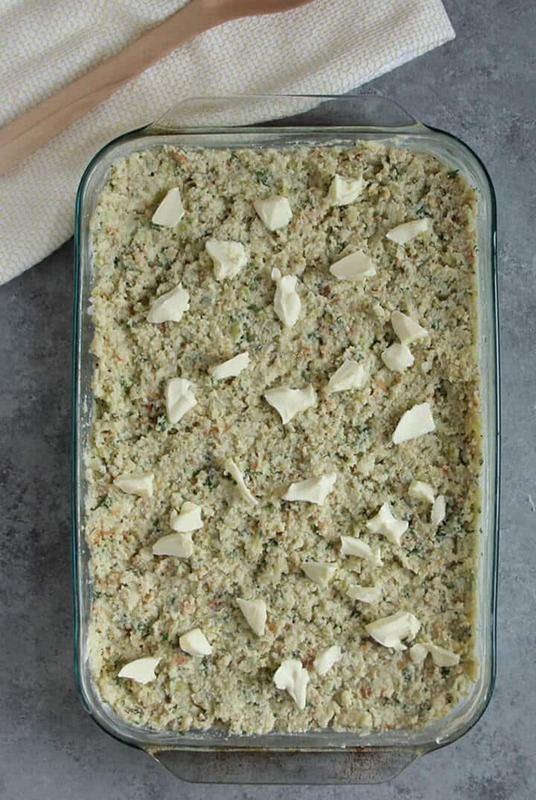 Freezer-friendly—you can store unbaked or baked cornbread dressing in the freezer! For unbaked, cover tightly with foil and store in freezer for up to two weeks. Allow to thaw and bake as normal. For baked cornbread dressing, cover tightly with foil and store in freezer for up to three months. I use these handy freezer containers and store my leftover dressing in smaller portions so it’s easy to pull some out for dinner! Made with cornbread, celery, onion, sage, and lots of good chicken stock--this classic Southern Cornbread Dressing is great for Thanksgiving dinner and as a side dish anytime! Make cornbread and biscuits the day before. Crumble cornbread and biscuits on sheet pans and let dry overnight. Preheat oven to 350. Generously butter a 9x13 dish. Use another 8x8 dish if you have extra dressing. Melt 1 stick of butter and bacon grease in large skillet and saute celery and onions until tender. In large mixing bowl, combine cornbread and biscuit crumbs. Add celery and onions and all the seasonings and stir gently. Add 2 cups of stock and stir until mixed well. Add additional stock, 1/2 cup at a time, until consistency is very moist but still thick. Add salt and pepper to taste. Pour dressing into prepared dish. Dot remaining 1/2 stick of butter on top of dressing and cover with foil. Bake for thirty minutes, then raise heat to 375. Remove foil and bake another twenty to thirty minutes, until well browned. Don't use canned biscuits in this recipe. If you don't have biscuits then you can tear up some regular white bread. Pour in small amounts of stock at a time and then stir. Dressing should be almost soupy, so that it will cook up nice and moist, but don't overdo it. For baked cornbread dressing, cover tightly with foil and store in freezer for up to three months. I use these handy freezer containers and store my leftover dressing in smaller portions so it's easy to pull some out for dinner! Update Notes: This post was originally published November 9, 2011, and on November 29, 2018, was updated with one or more of the following: step-by-step photos, video, updated recipe, new tips. 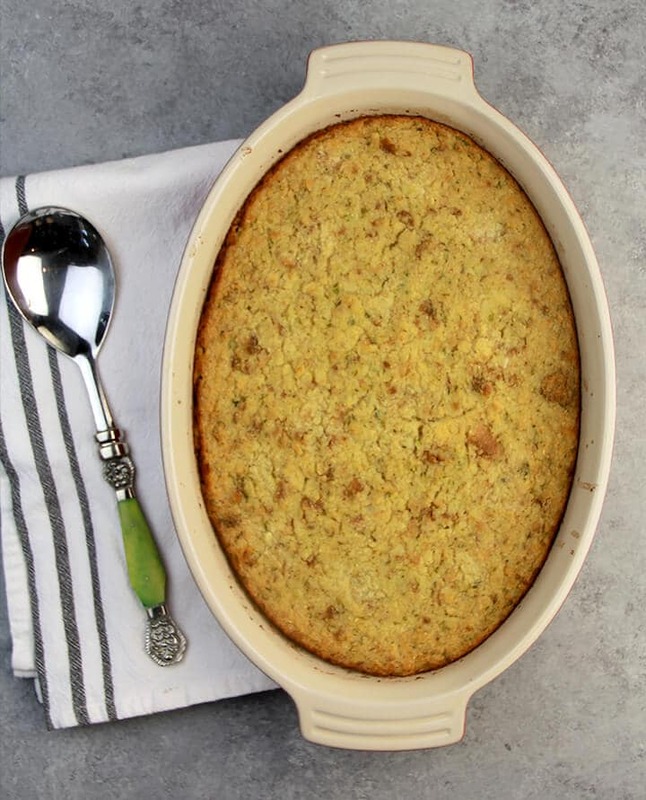 For a variation on my soul food cornbread dressing, you could try this Instant Pot Cornbread Dressing from Simply Happy Foodie, or this Cornbread and Oyster Dressing from Deep South Dish. Previous Post: « Southern Green Beans – Like Granny Made! I can’t tell you how much I love this recipe! I was rereading in preparation for making it later this week, and wanted to say thank you for sharing it! The whole family loves it. When my grandmother was alive (she’d be 130 now) I didn’t appreciate her cooking-she died when I was an adolescent (except her chocolate pie!). When I reached adulthood I longed for her food. I have searched high & low for a recipe for cornbread dressing that resembled hers & looks like what I remember. I think this is it! Thank you! I bet you make similar dressing, am I right?